Aashirwad is a 1968 Indian Bollywood film released on 1968. Shivnath Chowdhury, a middle-aged lover of music and folk culture, has a deep abiding regard for the common people of the soil. He regards Baiju, the old village headman and an expert player of the drums, as his guru. However, his wife Leela Devi, born of an aristocratic lineage, does not approve of her husbands intimacy with commoners. One fatal night, Shivnath commits a murder in order to resuce Baijus daughter from being raped and killed. He is sentenced to 14 years in prison. Leela Devi and her daughter Neena come to stay with her brother in the city. Years pass and new doctor Biren joins the jail staff and befriends Shivnath. Ironically, he is in love with Shivanth daughter Neena. Yet, Shivnath does not reveal himself for fear of earning his daughters repulsion for she believes that he has become a monk. She also believes that her father will return to bless her on her wedding day. How can a fond father not fulfil his only daughters ardent wish? Shivnath turns up at the auspicious moment and is recognised by Baiju. Father and daughter are united agian. [Source: N.F.D.C. Film Catalogue] Check out this page for more updates on Aashirwad. This page provides latest and updated information about Aashirwad (1968) movie which released on 1968. 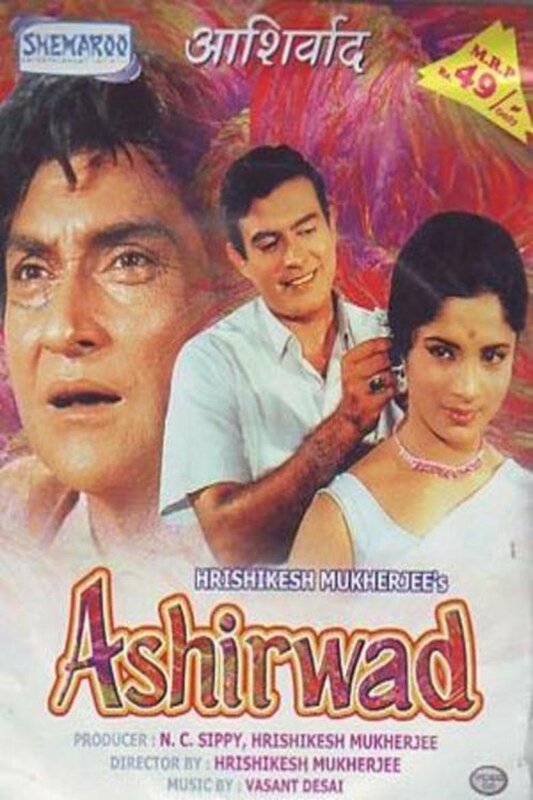 Aashirwad (1968) is directed by , produced by , starring .We have also provided 0 trailers and videos, 1 photos, 0 user reviews, and 0 critic reviews.You can review, like, dislike this movie and also can add to favorites. You can also find information on showtimes, CDs, DVDs, online rental, online free watching.